GULLANE, Scotland (AP) American golfer Luke List equaled the Gullane course record with a 7-under-par 63 to start the Scottish Open on Thursday. He was followed by five players in a tie for second; Rickie Fowler, Lee Westwood, Robert Rock, Scott Fernandez of Spain, and Jens Dantorp of Sweden. Masters champion Patrick Reed was part of an eight-strong group a shot further back following a 65, with Danny Willett continuing his resurgence with a 66, and Olympic champion Justin Rose returning a 67. 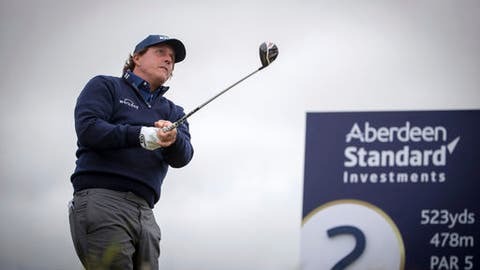 On a day when almost 100 players broke par, five-time major champion Phil Mickelson, who won the 2013 British Open at nearby Muirfield, could only manage a level-par 70.